Decorate your bedroom with this 4M Origami Lights craft kit. Add an artistic touch to these string lights with beautiful origami’s shapes. 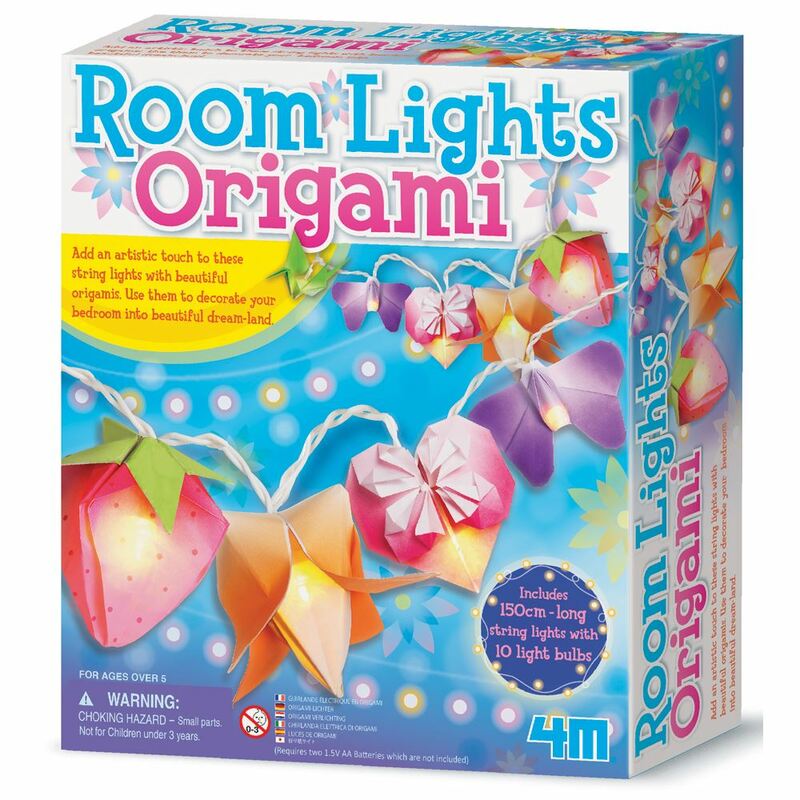 Includes: 150cm string lights with 10 light bulbs, 10 sheets of origami paper, adhesive tape and detailed instructions. Age 5+ years. Distributed in New Zealand by Holdson.